S1 = Specific gravity of tank liquid. 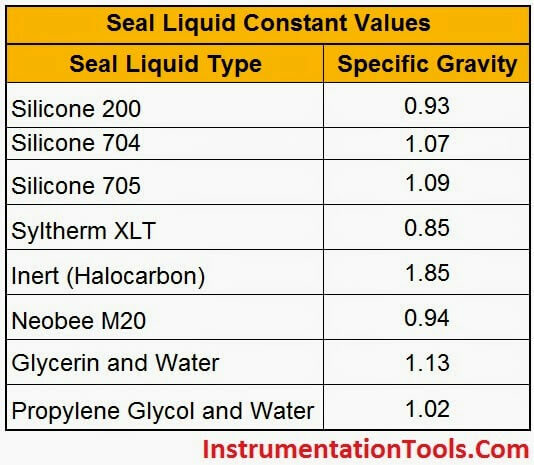 S2 = Specific gravity of seal liquid. Hmin = Equivalent head of water at minimum level. Hmax = Equivalent head of water at maximum level. X = Distance between transmitter and tapping point. 2. If you are using direct tubing from tapping point to transmitter without filling any additional liquid (Like water) that means you are not using any special seal liquid, so S2=S1, Here Specific gravity of Process liquid only considers for both S1 & S2. Hence S1=S2. It takes less than 2 minutes to calculate the instrument range. 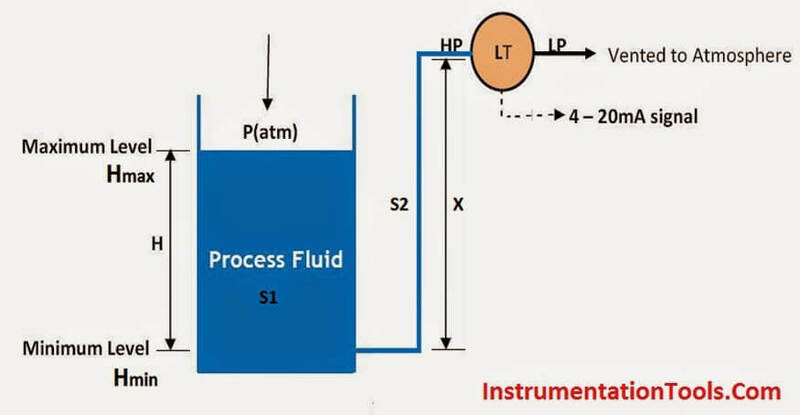 Dear Sir, Can you explain me how to Calibrate Transmitter like FT PT LT in very easy way. WILL YOU PLEASE MASG ME ERS(ELECTRONIC REMOTE SENSOR ) TYPE LEVEL TXM, ITS INSTALLED AT FIRST PLATFORM OF DRUM. ITS BEFORE GOOD WORKING NOW, ITS START PROBLEM. HART NOT CONNECT AND DEVICE ALWAYS SHOW DEVICE NOT FOUND, TXM DISPLAY SHOW. WHEN EVER WE CONNECT HART. WILL YOU PLEASE GIVE ME ANY SOLUTION . ALL WIRE AND EARTHING IS GOOD, NO WIRE CUT ALSO. PANEL SITE ALSO GOOD, JB WIRE ALSO GOOD.